A beloved daughter or son of God? 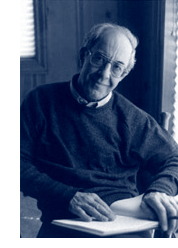 The same priest I mentioned yesterday in my blog is teaching a course on the thought of Henri Nouwen. For any of you who do not know him, Henri was a Dutch psychiatrist-priest who came to the US and taught at Yale but then left teaching and joined the L’Arche movement where those with so-called mental disabilities live in the same houses with others who Jean Vanier and Fr. Thomas Philippe (founders of L’Arche) considered to be way ahead of most of us in their ability to love God and neighbor. What other people say I am? This sounds self-evident that we think we are the beloved of God more than the first 3 choices. But, consider! How miserable do we get when insulted by others? How eager are we to introduce ourselves by our professions and accomplishments? How much to we envy others their possessions? Sometimes when I give talks where I am announced with all my degrees and books, a woman will approach me after the talk to make a comment proceeding it with this phrase, “Of course, I am only a housewife, but….” I stop her immediately and ask how many children she has? Then, I say, “which one of those children would you like to trade in for a book with your name as author? A book that will eventually be relegated to the dumpster vs. a child who will live for all eternity? A friend challenged me today about this? Do you think people only love you because of your teaching and books? Not just because you are you? I am going to stop writing this minute and run to the chapel and just sit and ponder blissfully that my real name is not Dr. Ronda but beloved daughter of God.